iCepts Technology Group, Inc. has been distribution industry experts since 1980. We have helped hundreds of companies improve their distribution business. 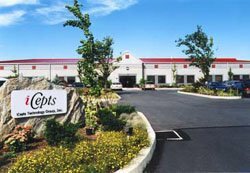 Since 1980, iCepts Technology Group has been offering the “Best-of-Class” technology solutions to help distribution companies streamline their specialized business departments and become more efficient and therefore profitable. We have implemented hundreds of systems and can help your company determine the appropriate technology fit. Discover why customers have been with iCepts for so long; our vast industry knowledge, friendly personnel and superior customer service!